Ways to Share Your Wedding with Guests Who Can't Attend - Boston Wedding Planner Contagious Events: Real People. Real Weddings. You will have guests from near and far joining you as you make your lifelong commitment to your partner. However, while you will hope that all of your closest friends and family members can be present for your once in a lifetime experience, some may, unfortunately, be unable to attend. If there will be guests who will be unable to join you on your wedding day, you will certainly want to ensure that you can still share your experience with them! Are you aware of the ways in which you can? Livestream. An easy and efficient way to share your wedding with those who can’t attend is by livestreaming it! You can have someone film your nuptials, so that no matter where you are, you can tune in and view and the celebration as it takes place. This is a wonderful way to include those who can’t actually be physically there for your big day. Hashtags. Social media has greatly advanced over the years. Now, we utilize hashtags not only for social media but for weddings too! You can create a hashtag that is specific to your nuptials, whether it be your new last name or a word that holds meaning to you and your partner. By creating a hashtag, you can then have your guests utilize it when they post pictures of your celebration. This way, those who can’t attend can simply search the hashtag, and view all of the photos that guests have shared of your wedding. Photographs & Videos. You will most likely hire a professional photographer and videographer to capture your big day. By doing so, you will be presented with photos and videos of your celebration. Then, after the wedding day, you can create albums and videos to send to those who were unable to attend your wedding, which is a wonderful way to share your big day. All of your loved ones should be able to experience your wedding! These are just a few ways in which those who can’t attend can. 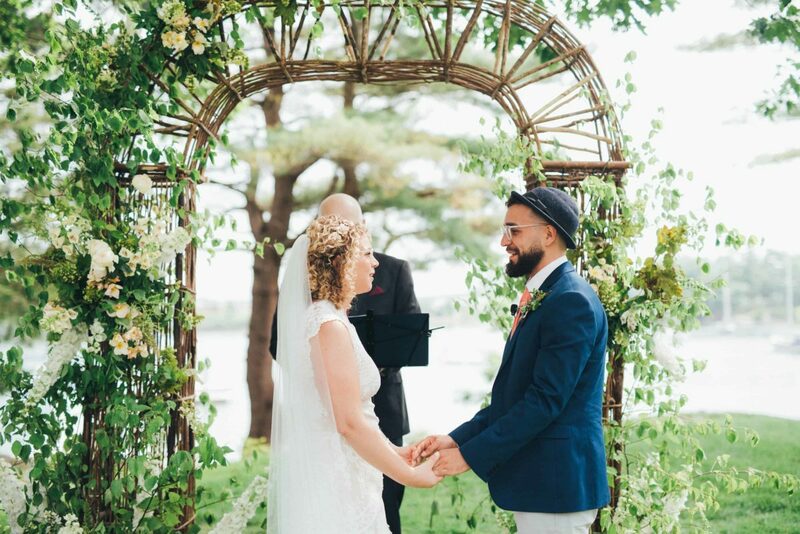 If you are ready to plan your own nuptials with a wedding planner in Boston, Massachusetts, please get in touch with us here at Contagious Events. We believe that every wedding should be one of a kind, and would be pleased with the opportunity to create yours.